Using the Mondo Magnolia stamp on watercolor paper, and Spectrum Noir Aqua markers. Have you tried them? I really likey!!! Fussy cut the flower to fit over the corner of card front. 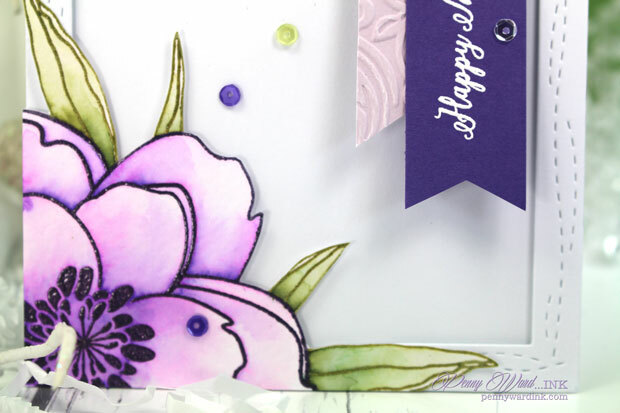 Sentiment from the Amazing Women stamp set was heat embossed. 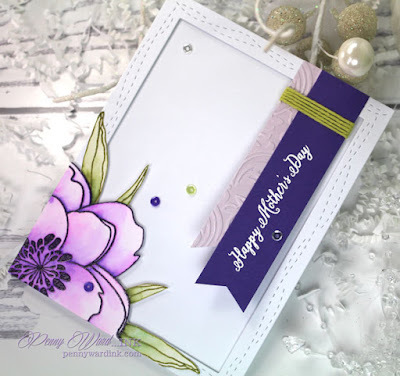 such a lovely card and design - especially love the magnolia placed in the corner like that - every effective!